Come trade, sell, or buy a great guitar today in one of America's music-savvy cities! 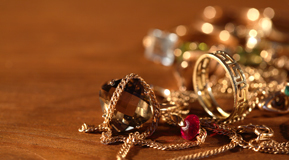 Let us provide you with a fair estimate on all your precious heirlooms. Get your value's worth in your gold and precious jewelry. Trade in, sell, or buy some of the best quality firearms and guns in the area. WE BUY GOLD & DIAMONDS!! Palace Jewelry & Loan is conveniently located between Union and Pike on 1st Avenue, just one half block from the historic Pike Place Market in beautiful Seattle, WA. A family owned business that has been serving Seattle with integrity for over 52 years, the pawn shop itself has been in continuous operation since 1939.
er the most competitive prices in town. We also buy instruments and firearms. We also have an amazing selection of guitars, banjos, mandolins, ukuleles, and accessories, including brand name instruments, at low prices. 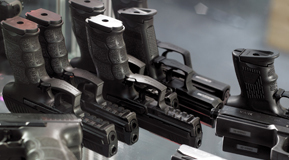 We also buy, sell and trade guns, rifles and other firearms. We are one of the last downtown firearms dealers and have an excellent selection of revolvers and pistols. Call or stop by today to check out our terrific selection and our low prices—you’ll be glad you did! Whether you need a basic guitar for a beginner, something for a more advanced player, a banjo, mandolin or ukulele, we`re here to help. Maybe you’re looking for a diamond ring for your sweetheart or that perfect gift for someone special. We also buy and sell coins, as well as digital cameras, MP3 players, audio pro equipment and other electronics. We try our best to be creative on loans to match our customers’ needs. Whether you are selling or pawning your goods, you’ll walk out with cash in your pocket within 5-10 minutes. Please give us a call or come in and see us, and we will try to match your needs. In the meantime, feel free to take a look around our site to learn more about our services. If you have any questions or concerns, please don’t hesitate to contact us at any time. Trust in our expert service of valuing your antiques, heirlooms, gold, guns, guitars, and more. We have been around since 1939 and we know our market. Come see us today in Seattle, WA. Our pawn shop understands the market value of the precious items you bring in. Our trusted experts will give your items a fair assessment and honest market value price. Come see Palace Jewelry and Loan today!